SUMMARY: Can two people stay connected for a lifetime and each know the complete truth about the other? When New Yorker Nick Satterborn falls in love with Sassa Vikander, he’s convinced the answer is yes. Nick Satterborn. Songwriter. Dabbler on the spiritual path. Survivor. Sassa Vikander. Stunning chef. Seeker on the path of most resistance. Survivor. Contentment percolates for a time, until the two are hurtled into a life of uncertainty, self-evaluation, and growth. Each dreams heroic dreams of overcoming his/her past, rising out of sadness, rediscovering home, finding peace. Their worlds dissolve and reform. People and events threaten to tear them apart. The Color of Home is a story of love, of loss, of digging deep down to the bottom of things until maybe, just maybe, Nick and Sassa find the strength to become whole. Their journey offers a unique, honest glimpse into the life and love of a palpably rare relationship of our time. THE BACK STORY: Some years ago I got the idea to write three novels about different kinds of love. 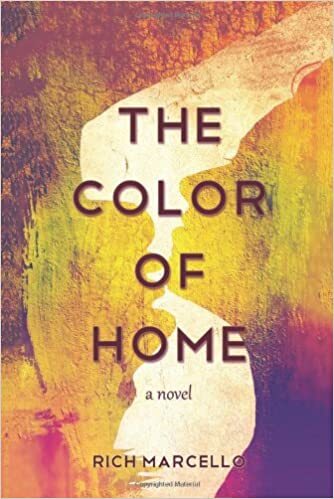 The first one, The Color of Home, published in 2013, is about romantic love. It follows the lives of a man and woman over six years as they figure out what it means to be in a generative, loving relationship. The second one, The Big Wide Calm, published in 2014, is about a young woman, Paige Plant, who is mentored on her way to making her first album. That one’s about platonic love. The third one, The Beauty of the Fall, is about love in a wider sense, about love in community. But it’s also about fathers and sons, loss, technology, and about equality for women. WHY SOMEONE WOULD WANT TO READ IT? I tried to write down everything I believed at the time about romantic love in one book, not only to tell Nick and Sassa’s story, but also as a guide, in part or in its entirety, to those readers struggling to make sense of the complexities of love. REVIEW COMMENTS: “The Color of Home sings an achingly joyful blues tune. It’s the song of lives stripping away the hardened scars until all that’s left is the possibility of each other. It’s a tune we’ve all sung, but seldom with such poetry and depth. Read this and weep… and laugh, and sing, and sing some more.” Myron Rogers, co-author of A Simpler Way. 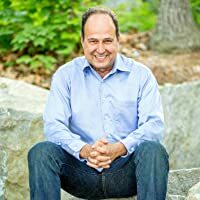 AUTHOR PROFILE: Rich is a poet, an accomplished songwriter and musician, a creative writing teacher at Seven Bridges’ Writer Collaborative, and the author of three novels, The Color of Home, The Big Wide Calm, and the forthcoming, The Beauty of the Fall, due out in 2016. Previously, he enjoyed a successful career as a technology executive, managing several multi-billion dollar businesses for Fortune 500 companies. For Rich, writing and art making is about connection, or as he says, about making a difference to a least one other person in the world, something he has clearly achieved many times over, both as an artist, a mentor, and a teacher. Rich lives in Massachusetts on a lake with his family and two Newfoundlands, Ani and Shaman. He is currently working on his fourth novel, The Latecomers. WHERE ELSE TO BUY IT: It’s available in any bookstore by order. PRICE: 15.99 paperback. 5.99 ebook.